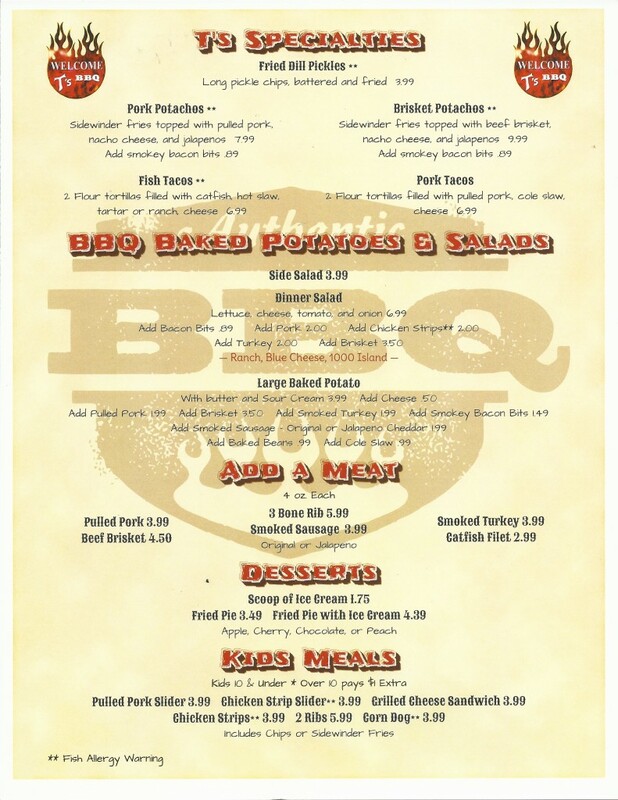 Want the best BBQ in North Central Arkansas? 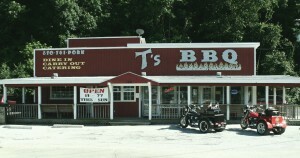 Without a doubt or hesitation, we recommend T’s — from the moment you walk in the door, you’ll know you’ve arrived at an Ozarks Original. We give them 5 Stars! This little gem is conveniently located right next to the Harrison Lake Park near downtown Harrison. 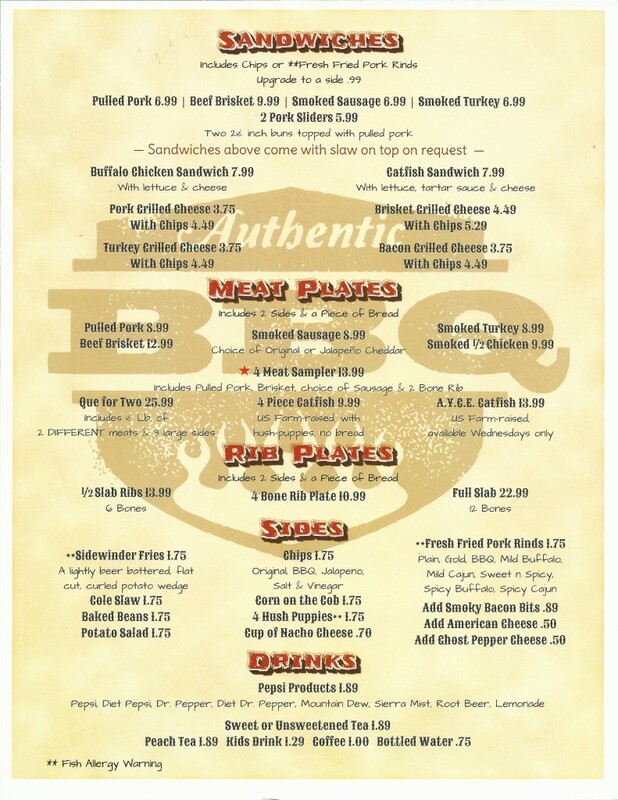 They are open 7 days a week, and the menu will satisfy everyone who loves the taste of BBQ done right. 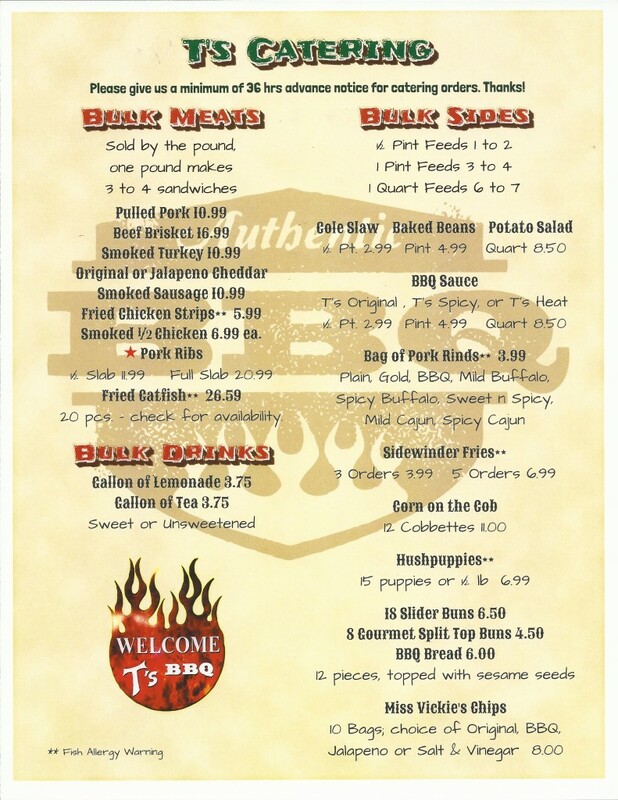 Tony Valentine runs an excellent restaurant with happy customers who just love BBQ, from ribs and brisket, to smoked chicken and pork that melts in your mouth. 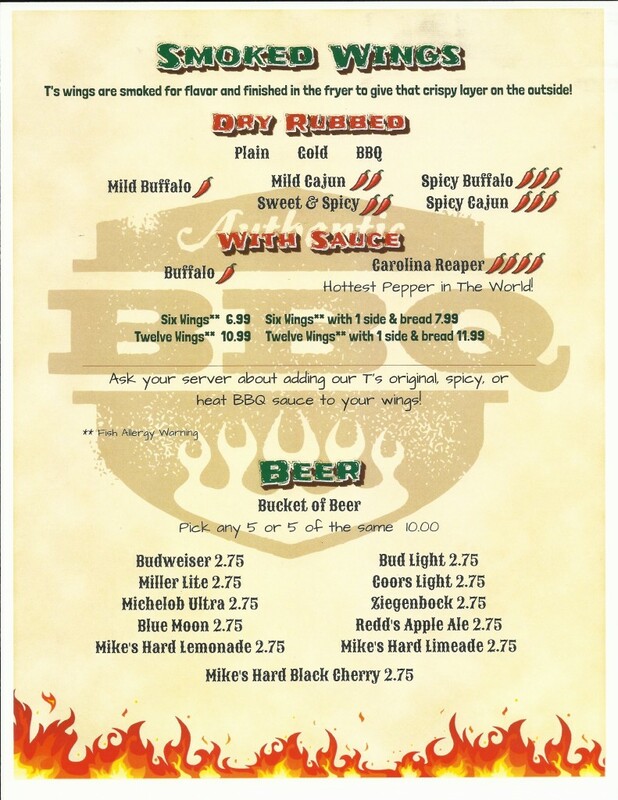 Tony is an award-winning BBQ Maestro, and he makes everyone feel welcome at his restaurant.